A new study compares violent crime statistics from states that have right-to-care laws, and those that don’t. A new study has opened fire against the commonly-held belief – particularly in Texas – that carrying guns can reduce violent crime. Covering the years 1979 to 2014, the Stanford University study looks at 30 states that have adopted right-to-carry-laws. John Donohue, a law professor at Stanford, co-authored the study. He says that after about 10 years with right-to-carry laws in place, states typically had 13 to 15 percent higher rates of violent crime than states that had no right-to-carry laws in place. 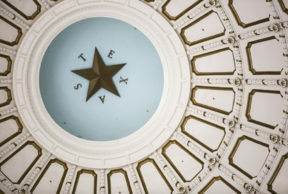 Donohue says at the time Texas adopted its right-to-carry law in the ‘90s, the state was also leading the world in the rate of incarceration, which may account for decreased violent crime rates in the state after the law was put into place. But other states that did not pass right-to-carry laws paint a different picture. Crimes of passion, like spousal conflicts and road rage, where a perpetrator had the right to carry account for an increase in violent crime, Donohue says. But theft and loss of firearms by their owners are also huge factors, creating easier access to illegal guns.